While everyone else fights over search relevancy, you can use technical search to improve your website’s crawlability, usability, indexing, and rankings. However, if you really want this to work, you must set goals and understand what your priorities are so you can reach these goals. Making sure all your important pages get indexed: Type site:domain.com into Google and make sure that the number of indexed URLs matches the number in your database. If something hasn’t been indexed, it’s possible that it contains a noindex meta tag that needs fixed. Making sure all your important resources can be crawled: Some reasons pages aren’t crawlable include containing the noindex meta or X-Robot tag headers and having no internal links. Additionally, make sure you restrict the indexing of pages that contain no SEO value (e.g. terms and conditions, privacy policies, outdated promotions). Eliminating duplicate content and pages, broken links, and redirect chains. Including schema markup, AMP pages, and mobile-first indexing. A flat site architecture is one that reduces the number of clicks necessary to move from your homepage to the desired content. 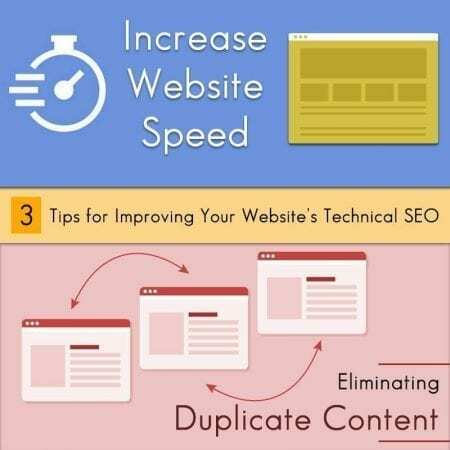 Ideally, visitors should be able to reach each page within three clicks. Clear pagination allows search engines to have a better understanding of your content. A clean sitemap helps search engines find you, understand your structure, and easily discover your new content. It must be up-to-date, concise, error-free, and contain no redirects or blocked URLs. HREFlang tags that localize your content for different locations should be error free. Otherwise you’ll suffer from misdirects, incorrect content, and lost rankings. This is why you need a good implementation method, special code for each page, and mobile updates when necessary. Limit redirects: Use a 301 or 302 and limit them to one per page. Enable compression: Eliminate unnecessary data or use a tool to compress its file size. Reduce the server response time so that it’s under 200ms: HTTP/2 and OCSP stapling give your site a performance boost. Leveraging resources and supporting both IPv4 and IPv6 is also important here. Create a caching policy: Make sure you follow Google’s cache-control policy to set up caching control and etags. Optimize your images: Always choose the best format then compress, resize, and scale them properly. Also eliminate any unnecessary resources. Optimize the CSS delivery: Inline small CSS files (not large ones or attributes) into your HTML document. Clearly, there are many technical improvements you must make here to optimize your content, link profiles, and server-side latency. With so much work to do, it’s nice to know that there’s someone here who’s willing and waiting to couple with you to accomplish this work. All you need to do is contact the Affordable SEO Company today.